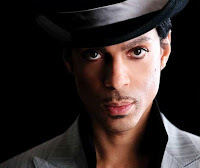 The megastar Prince will be performing in the North Sea Jazz Festival (Netherlands) in the small hours of July 8, 9 and 10, after the standard program has finished. His Purple Highness was born as Prince Rogers Nelson in 1958, the son of a pianist-composer and jazz singer. He had already taught himself to play the piano and had written his first song by the age of seven. Ebony Magazine wrote about him. " Entering the world of Prince Rogers Nelson is like slipping into the altered reality of The Matrix. We learned that he is as deliberate as he is mysterious and deeply loyal of those in his inner circle. But he's fiercely guarded and suspicious of most others, at least at first interaction. Prince has definitely carved out his own rules and makes no bones about it. That’s what truly makes him who he really is while remaining true to himself. He has also been very fortunate to work with some of the best musical artists, Sheila E., for example, and intriguing entertainers, such as Vanity."